Rasheed (Reginald) is a Bay Area-based multimedia journalist. 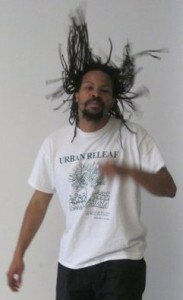 He produces the Internet radio show The Black Hour and is a contributing editor for OaklandLocal.com. He is also a photojournalist for UC Berkeley’s Onyx Express Magazine and a blogger for Al-Bayan Magazine. His last journalism project was The Peralta Report, in which he also extensively covered the 2010 Peralta Colleges Trustees Election. He got his start in journalism by founding the College of Alameda Black Student Union’s publication, “Harambee.” The newsletter, started in 2004, ultimately became the student publication distributed to over 50 community colleges throughout California. Harambee News ceased publication in 2009 after five years of distribution. Reginald trained in journalism at Laney College in Oakland, Calif. After working as a staff writer, he became Editor-in-Chief of the Laney Tower in 2007 and the publication was awarded General Excellence from the Journalism Association for Community Colleges (JACC). He also received awards for writing, photography, graphic design and newspaper layout. He received his Associates Degree in journalism in 2010. Reginald’s photography and writings have been published on Alameda Patch, Alameda Sun, Berkeley Daily Planet, Indybay, New American Media, OutdoorAfro.com, New American Media, Oakland Post, San Francisco Bay View Newspaper and The Final Call. Reginald is currently studying in Tanzania at the University of Dar es Salaam. He contributes to Reach the World, a program that connects travelers to fourth-grade classes in the United States through blogging, photography and videos.